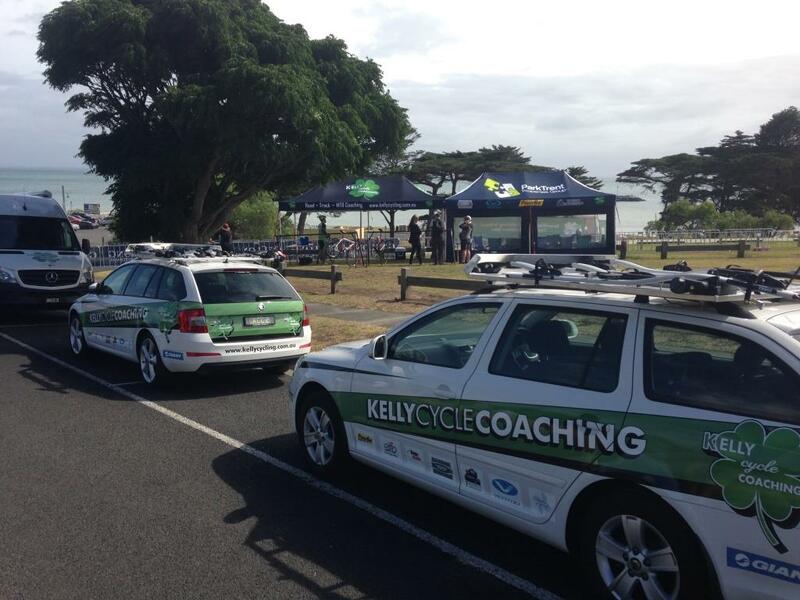 Kelly Cycle Coaching put two teams plus some individual riders into the Bay criterium Series (2nd to 5th Jan 2015). 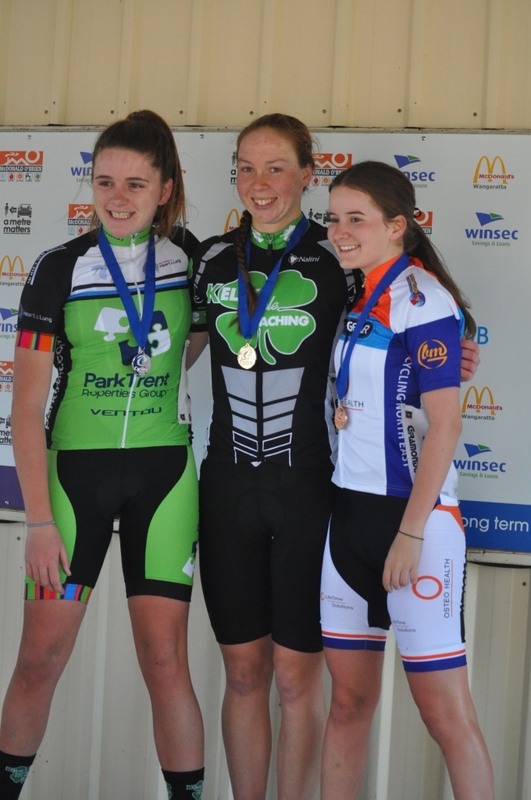 We also had individual riders who raced including Vic Snibson, Carley McKay, Mark Kelly. 4th by Nick White (stage 4). These results were a great team event by the ParkTrent men’s team and the KCC men’s team. Great riding guys. 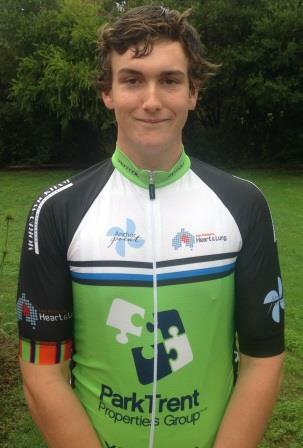 We are have a SALE on all our KCC kit (extra cheap) before Xmas. Please email me if interested. First in, first option on what is left!!! We only have what is itemised below. Also we have loads of black and white sockguy socks (over 600 of them). We think they are great. Absorb the sweat and comfortable to wear casually also. Other pictures of KCC kit and socks. For country / international athletes, we can organise to post it to you and add postage amount. 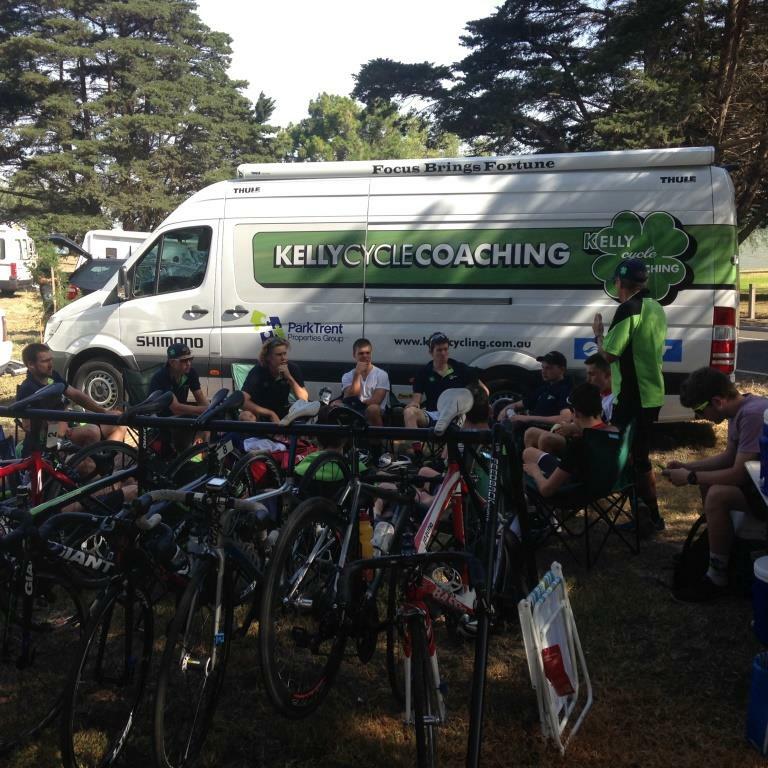 Kelly Cycle Coaching have recently been involved in two great camps at Bright, Victoria. 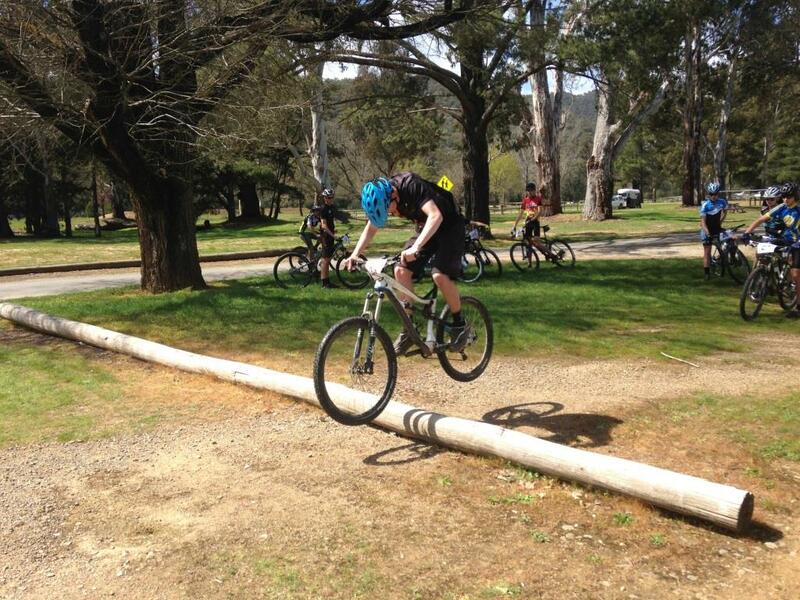 Bob and Helen were trainee coaches at a MTBA (mountain bike Australia) camp recently, with one of our KCC riders Lachlan Clarke attending the camp as an athlete. KCC then remained in Bright to run a junior KCC Road camp in the second week of the school holidays. 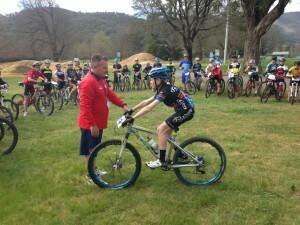 Some 35 athletes from around the east coast of Australia travelled to Bright to attend the MTB junior development camp. 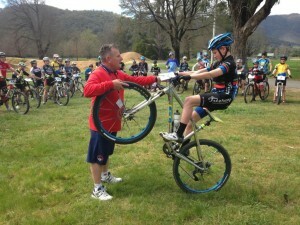 Below are some great photos from the mountain bike camp. 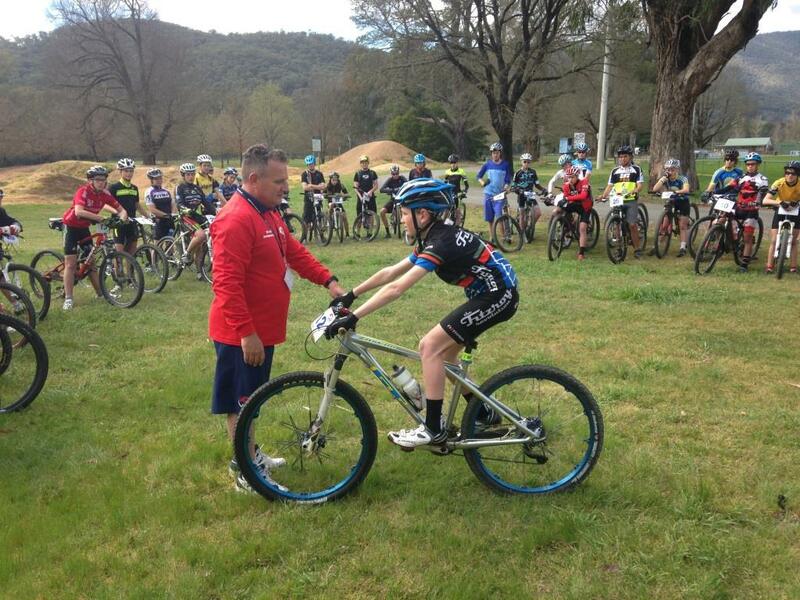 Greg Meyland organised and ran the camp, along with the assistance from female coach and mountain biker, Jenni King. 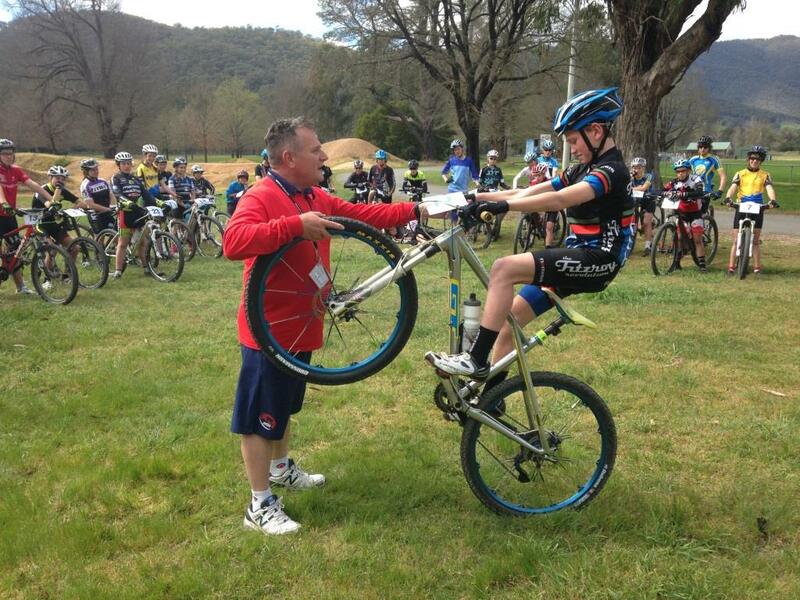 Alex Meyland was also in attendance as a coach along with BMX, mountain bike and downhill skills coach and mechanic, Shannon Rademaker. 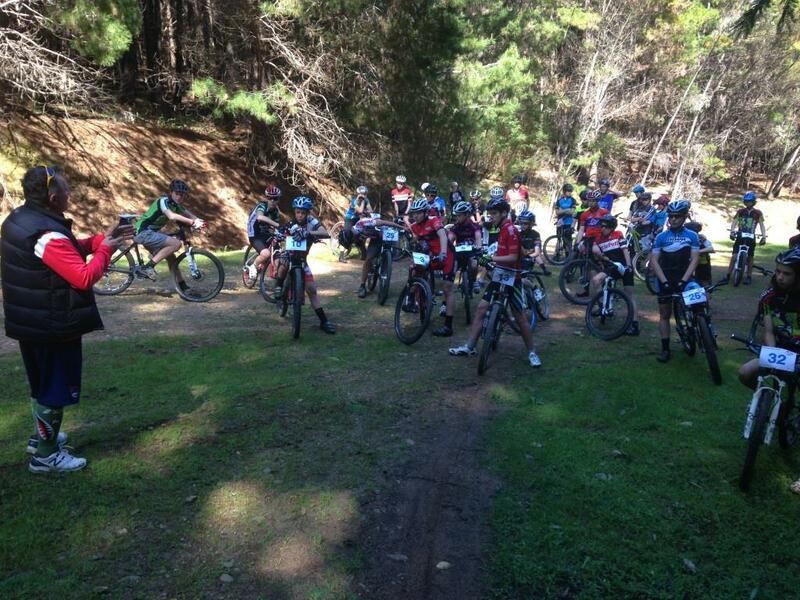 How many athletes attended the recent MTBA development camp? 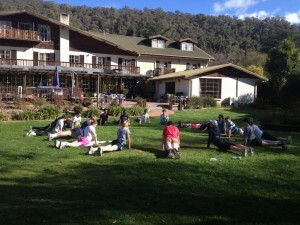 There were 35 athletes in attendance, under 15’s &17’s, both male and female, mostly from Victoria, with a few coming down from NSW and across from SA to join us. What kind of athletes attended? All XC riders or others? The camp was mostly compromised of Cross Country riders, with a few downhill mountain bikers also in attendance, these riders also helped out some of the XC riders like myself, with downhill skills. 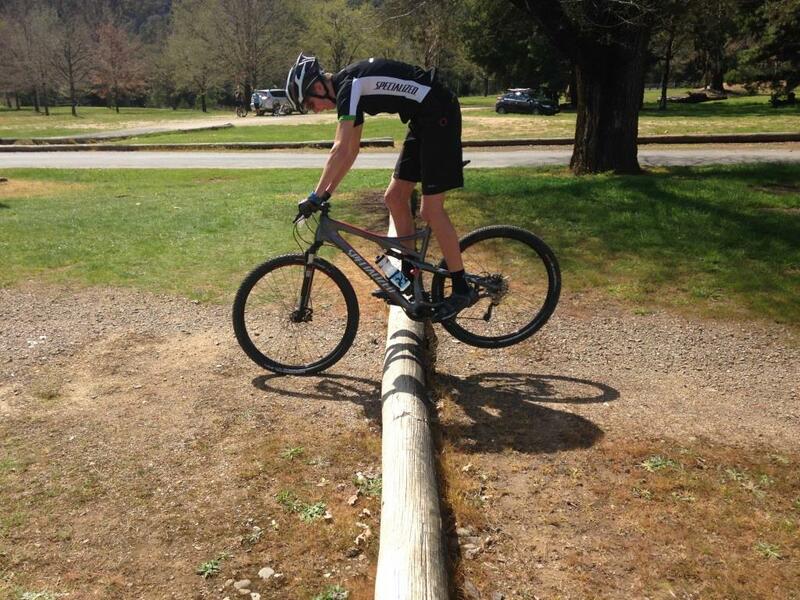 Bikes used were both dual suspension and hardtails depending on the type of MTBing they preferred. Where did you stay? Who did you share a room with? 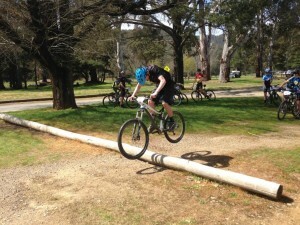 Was this the first mountain bike camp you’ve attended? Yes, this was the first ever mountain bike camp that I have participated in – I’ve been to a couple of road camps before, but not MTB so it was a new experience. What skills sessions did you do during the camp? What did you learn during the camp? 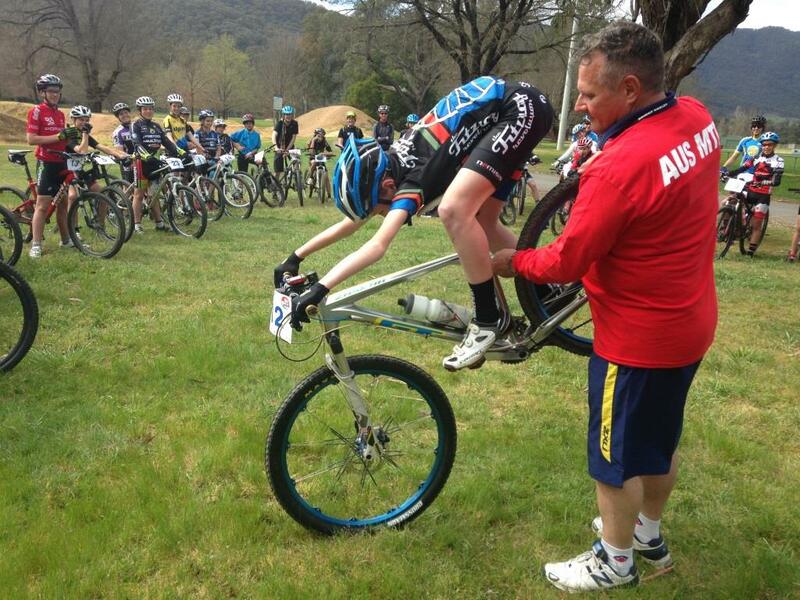 I learned many things throughout the camp, relating to both my skills and the psychology of mountain biking. 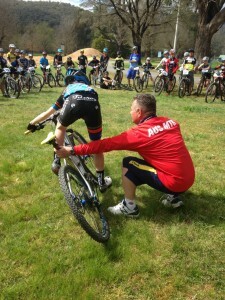 I learned how to correctly ride an off-camber corner to list an example, and I also learned about different recovery techniques such as hot-cold recovery and nutrition guidance both for training and race time. What was the most fun session you did during the weekend? The session I most enjoyed would have to be the Mystic Trail group racing that we did, where we were matched up against other riders of around our ability level, and we raced 1 lap of the Mystic trail circuit. 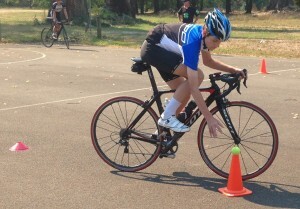 This was heaps of fun because we could race as fast as possible and compare ourselves to others. My most memorable moment was when I heard that Bob Kelly lost concentration when talking to another coach and managed to have a spectacular crash! He was not hurt so we could all have a laugh at him and admire his scars. 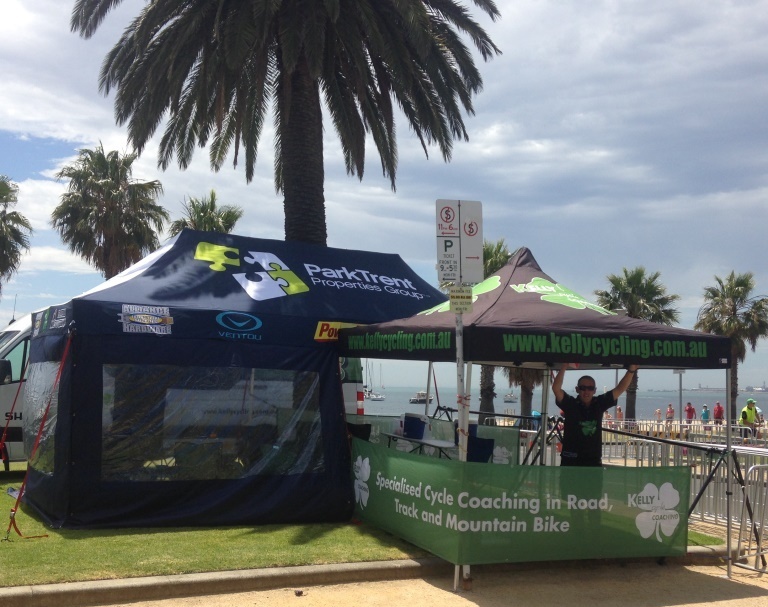 Would you recommend this camp to other athletes who do mountain biking? Definitely! 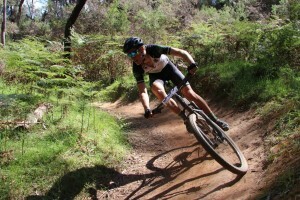 I learned lots of useful skills and techniques and had great fun practicing new skills, and brushing up on old skills, and then putting it together in a race situation. I would definitely recommend this to any mountain biker that wants to improve, or to build a good base and start racing. 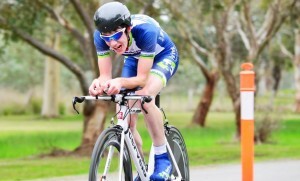 Kelly Cycle Coaching and ParkTrent recruit, Ewyn Carter, won the Sam Miranda handicap last weekend. The event started and finished at the Sam Miranda winery in Oxley in North East Victoria. 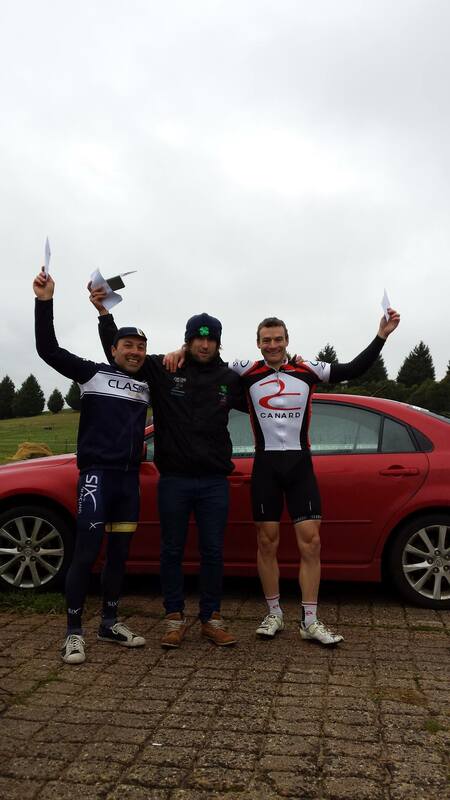 Below is Ewyns race report of how the race unfolded. 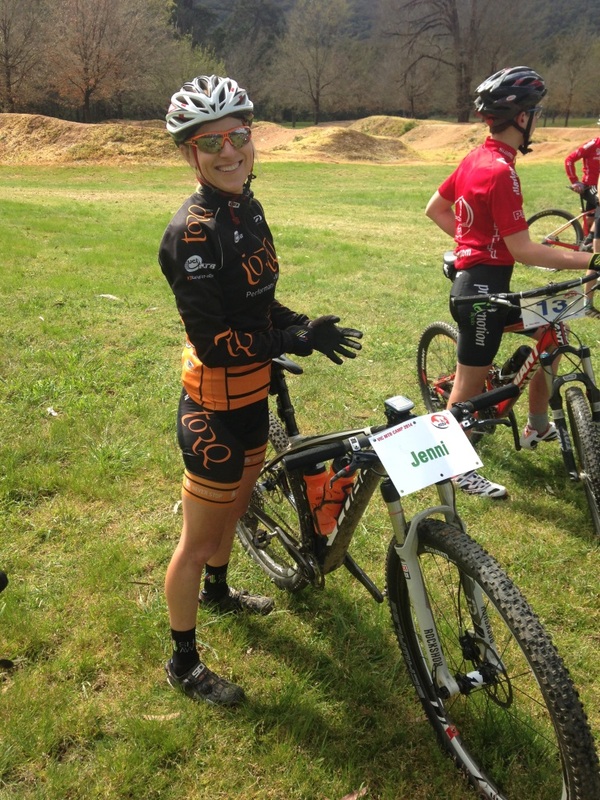 Bec Stephens finished as 2nd female in the women’s competition. “It’s a wonderful thought, that some of our best days on a bicycle haven’t happened yet. I woke early on Sunday morning with this at the front of my mind as I watched the gum trees in a paddock sway, in a somewhat moderate breeze, with thick grey clouds above. The forecast was for pretty heavy rain in the wine-growing region of Wangaratta. But, as I stepped outside to load up the cars, I couldn’t smell the distinct freshness that rain brings to the country air and was confident that we would get a dry race. Personally I don’t mind wet races as riding skill and a bit of concrete in the morning beverage can give a rider like myself a crack at a result. I’d been moved from the Limit group after the Melbourne to Ballarat and placed firmly into the middle of the 14 minute bunch. I was relaxed and excited as we entered the Sam Miranda Winery for our warmups and pre-race rituals. As I watched a big bunch of Limit riders leave the start line I remembered my experience in this group. They moved me to a rye smile. It’s crucial in a Handicap to get your bunch working together from the gun. The 14 minute bunch proved this to great effect. 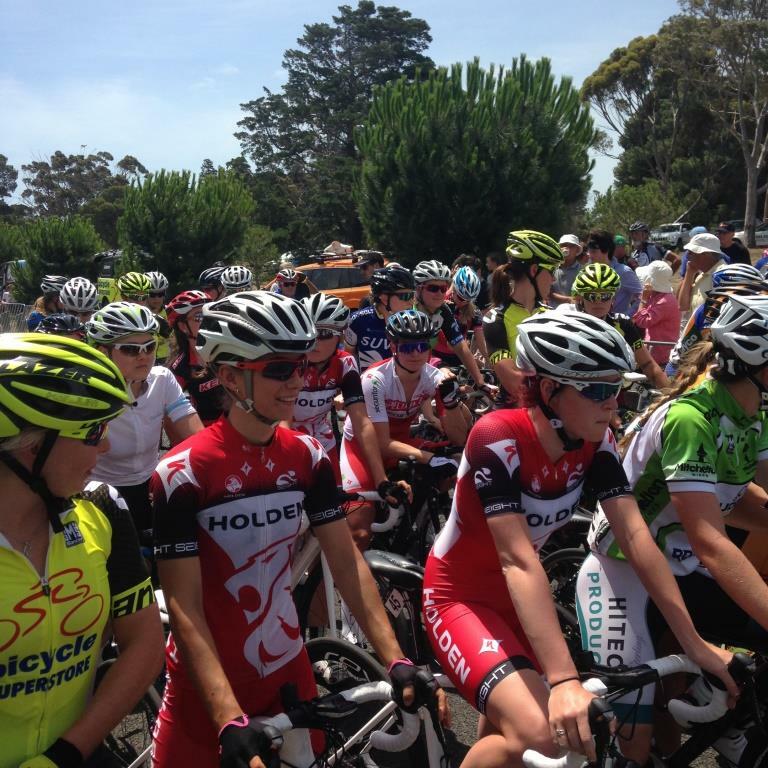 I sat there on the line observing the riders in the group and was seeing a lot of familiar body shapes to mine. This was going to be a power and speed race. Sure enough from our start gun we flat shifted from first all the way to sixth within the first 500metres! This was on. I only had seventh left, next stop seizing the engine block. We were motoring. 45km/h. Heart Rate 160. Game face. Concentrate. Remember Handicaps are a game of survival. There was no rest bite, our pace line was amazing. It was like being in a Team Time Trial. I have no idea how many started in our group, as I was concentrating that hard on keeping my form and breathing as consistently as possible. The entire group were working. We continued this for an hour! One of my big things in a race is eating and drinking. Don’t get me wrong; these two things are pretty good off the bike too. But during a race like this it is crucial to stay on top of your energy source. Because we were setting what felt like a land speed record, all I had time for was water for the first hour. This was messing with me a bit, as I was worried I’d missed my boat. After riding the day before in the ‘Strade Nero’, I’d taken note of the course and memorized some indicators for today’s race as to the location of impending climbs. As I’d mentioned in my previous post about my Melbourne to Ballarat, racing towards the stars on steep climbs doesn’t fit in my resume. Saturday’s race up the iconic dirt section proved this as I got shelled quicker than a prawn on Christmas Day. Thankfully this climb wasn’t on the cards today. However there where two Cat 2’s to conquer and I knew if I got over these in an isolated group before Scratch I could ride the remainder of the course and line up the drag race possibly for some sort of result. The first climb of the day was approaching so I moved to the back of the group to try and reduce my Heart Rate and try to recover before the climb begun. Starting a climb with a high heart rate would have spelt the end of my day, as the more suited riders in our group would have gapped me and that would’ve thrown my cunning plan right out the window. After the climb we caught the 18 minute group who had started before us! This was surprising to me as I thought they and Limit would have been together with our catch coming in the back half of the race! It was interesting to see how our group approached the one ahead. A few from 14 minutes said we should hit them and break them up. So that’s what we did, ramped it with about 25 metres to go and passed, pulling seventh gear, my heart felt like it was beating out of my chest, this was one of the harder races I’ve competed in. Our attempt at disorganisation didn’t work and what looked like the entire 18 minute bunch joined ours. This was a more desirable outcome for me as the pace making was now being fought out between more enthusiastic 18 minute riders and about half of the 14 minute guys who looked pretty cagey for a gutter session on the headwind return home. Now was my opportunity to eat and drink properly. New teammates, fresh attitude, chase the Limit group, stay away from the “Scratchier” groups, focus on the finish. My near death experience in the Ballarat with the kids wading pool sized pothole was nothing like the near miss moment in today’s race. We where cruising along nicely as a bigger group and I was munching on some energy bars when the rider in front grabbed a whole lot of brake and threw in a swerve to finish me off. My front wheel clipped his rear in the classic half wheel move. For those of you who haven’t experienced said move, don’t. You have no control, and I was sent to the left of the road onto shale gravel. I used to ride Motocross and felt my front end start to lose grip in the classic low side off. I was determined to keep the thing upright and counter steered with my upper body. Which would have looked strange. 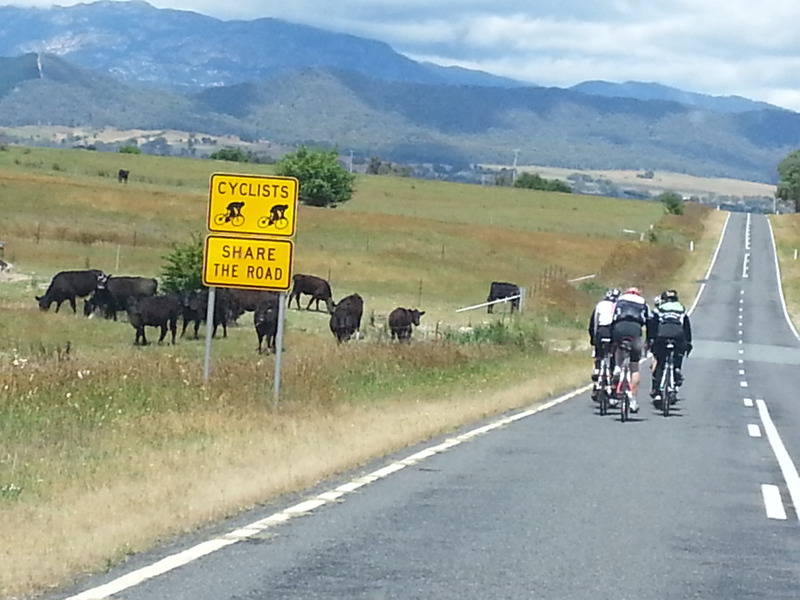 The fact that there where 30 riders in tight formation would have been strange enough for the Angus Cattle at the side of the road let alone one re-living his motorbike bandit days. I re-joined the group in the position I left and tried to take stock of the damage. That Russian Judge I’m sure was hiding in the scrub with his ten-card ready to pounce had I hit the deck. He’ll get his chance one day, and that’s cycling. We crested the final Cat 2 and started our run home. We caught the Limit group with about 35km to go, without much fanfare. The bunch was now about 50 strong. Perfect for a sit-in sprinter. This was panning out nicely compared to the first hour! 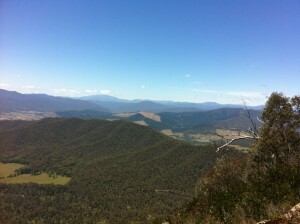 I had now completely relaxed and felt as I did in the Ballarat, all good signs including ticking off a near miss moment. We continued on our way to the finish and at 10km to go got the 2 minute time gap to the chasing group. We where going to stay away. I was now completely focused on the finish. I had ridden the last 3 km beforehand in warmup and had noted the last kilometre. I had four monuments to climb before the top step of the podium. We reached the right that would take us to the line. The peloton was at least fifty and my chance at victory would have to be taken early from the front. There were a few trains forming and I found what looked to be the strongest. I grabbed their sprinters wheel. First monument. 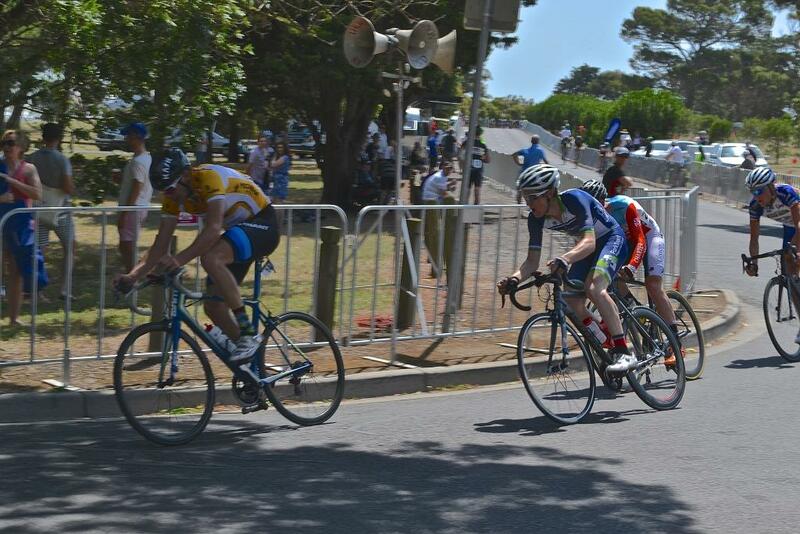 The train ahead of me started pulling hard and I held strong as we moved threw the bunch on the long straight. 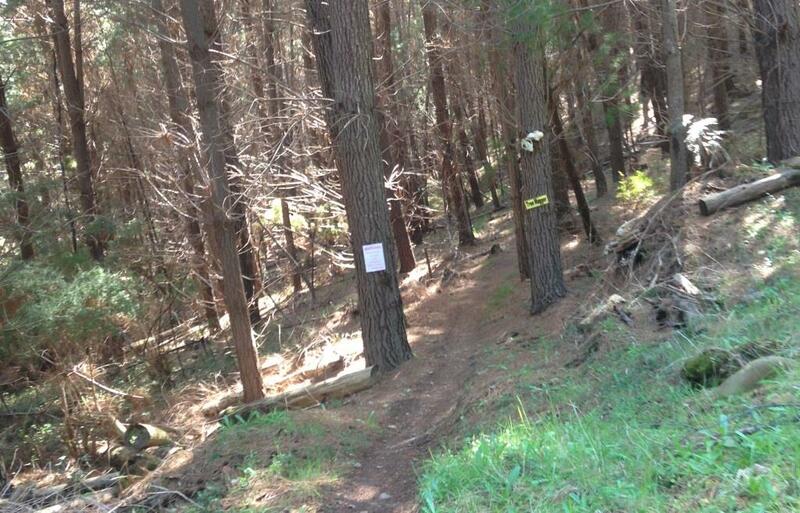 The run into the finish was technical with a little right left flip flop and than about 150 metres to the line. I had it in my head to be first into these and run apex lines threw both to hold any challengers. So with about 250 metres left and 100 before the right I went full noise. Grabbed the right apex. Second Monument. Straight lined for the Left apex. Third Monument. Wide line the exit like a race car. Rip it to the line like the Ballarat. Fourth monument. Again I’d like to express my gratitude to all those who helped to run this event, the Vic Police, CV, Sam Miranda and especially those who stood on corners, held signs and drove support vehicles. While it doesn’t have the history of the Ballarat, this event is just as important to the growth of our sport and the more the better. Second chances are rare and I feel very lucky to have won two handicaps at two attempts. I like to be challenged and am welcoming the inevitable cutting of my handicap time. Some shy away from racing higher grades for fear of being dealt a stiff competition hand. For me this makes me want to push the limits of what I’m capable of. 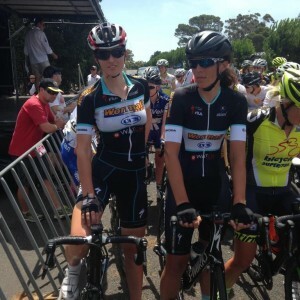 A big goal for me is the Austral at Hisense Arena and the Criterium season here in Melbourne. 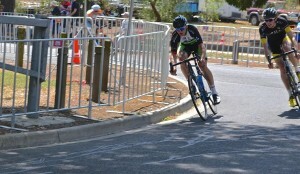 I’d like to race against the Pro’s in the Super Crit at SKCC. I suppose it’s a nothing to lose kind of attitude. I say dream big, have goals that look unachievable. I’ll put my hand up to join you. 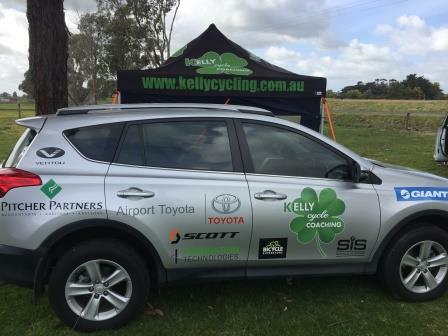 Kelly Cycle Coaching had several podium results at State Titles in Wangaratta last weekend. 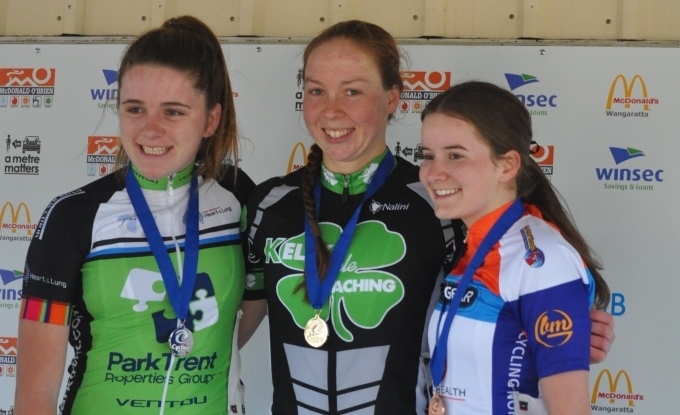 The State titles about experiencing racing, learning the tactics, and for some it is also about trying to win a title and/or qualify for the junior State road team. Regardless of where you finished, it is about enjoying your cycling and doing the best you can. 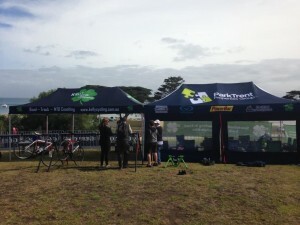 KCC had over 30 riders racing and it was great to see all them warming up under the tent, having fun and giving it a go. Well done to all of you. Angus Lyons (ParkTrent) – 1st. 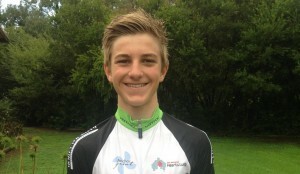 Angus has recently accepted a VIS road scholarship and we wish him all the very best with the next phase of his cycling career. He has been with KCC since first year U17 and has accumulated VRS stage wins and podiums, 2 National TT titles and several State titles so far in his 3.5 years with us. 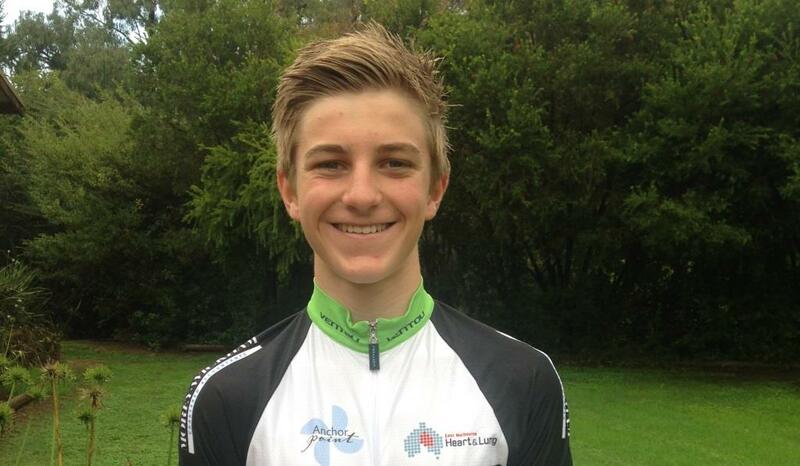 He is a highly respected rider by all his peers and gives back by being there to mentor the up and coming juniors. Eloise Vaughan (ParkTrent), Cyrus Monk (ParkTrent) and Maccie Carter (KCC) were all 5th. Kirsty wins the road race. Eloise finishes 2nd. 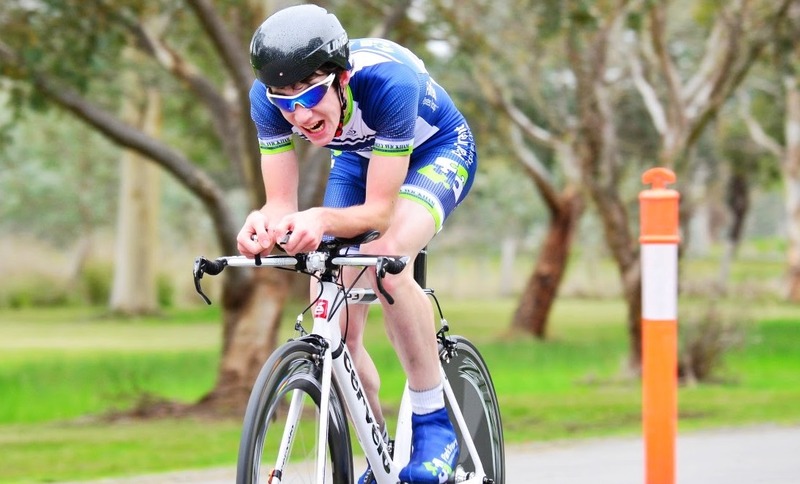 KCC rider Ewan Carter took the biggest win of his short cycling career on Saturday, winning the Melbourne to Ballarat handicap. Ewan is focusing mostly on track racing, doing some CX and mountain biking for fun plus preparing for the upcoming crit season. As a full time chippie, his strength lies in the shorter more explosive races, but entered the Ballarat handicap just to get some km’s in his legs. 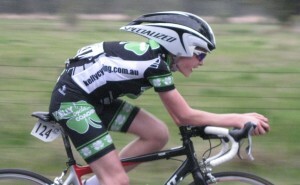 Packing a very good sprint, Ewan waited patiently as the front group rode up the finishing straight. With 350m to go, second place finisher jumped. Ewan got his wheel and then timed his sprint perfectly, taking the win by a full bike length. Ewan wins his first ever handicap race!! Ewan and Ryan looking like "kings"
“The Melbourne to Ballarat started for me off limit, 34 minutes in front of scratch. I sat on the start line unsure of how the race would unfold with no real expectations nor the knowledge of how handicap races played out. This was my first handicap, so finishing close to the front of the first or second bunch would have been a good day out. I had studied the course the night before, I spent all of a minute looking at the elevation, flat for 20k’s and than the ramp to Ballarat was long and steady. My strength in cycling is sprinting, I’m a builder by trade, and my days are pretty physical compared to most, so I knew that any group was my best place for the day to finish with a result. 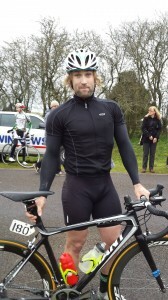 A solo attempt was out of the question with the stiff headwind and Time Trialling for me is pretty much non existent. However, The headwind did play into our hands quite well as it would become a race of strength and I new if we worked off the line as a group we’d have a chance to stay clear for at least the first quarter of the race. From the gun the Limit group took a couple of k’s to gel and I was sitting mid pack. I’d watched the pros ride since I was a grommet and knew that any form of disorganization would be the end of our day, so I went to the front and tried to set a solid pace, a few joined and with some stiff words from the more experienced handicappers all of a sudden the whole group was thrust into a metronomic state, and we worked as temporary teammates. I found this both exciting and confidence building. Again after watching the pros in action for many years on TV, a breakaway group can get a sizable lead all day but when they want to shut it down they turn the wick for a few k’s and the group is caught in the blink of an eye. I had this thought in the back of my find for the first twenty km’s and was constantly looking for flashing lights behind when I went to the rear of the group to indicate the impending catch by the group behind. 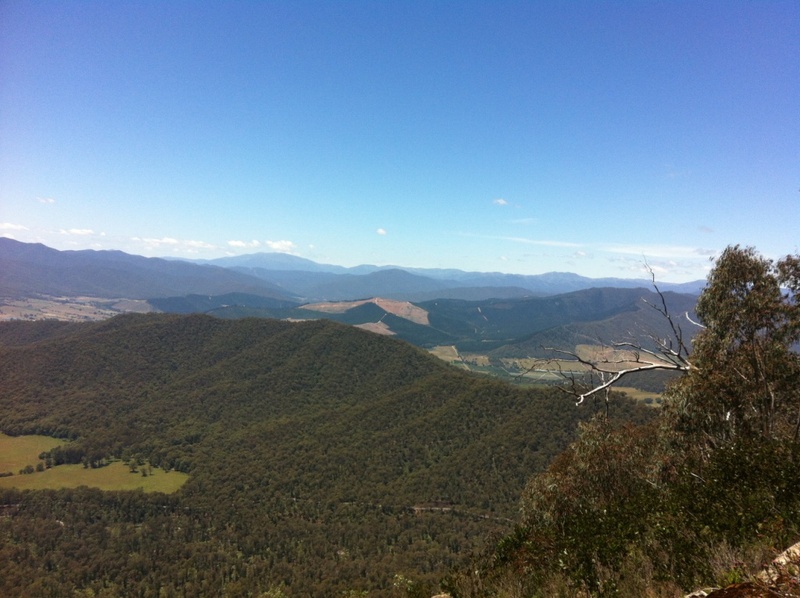 But to my surprise we hit the first climb clear and relatively still all together. From my previous races in the VRS I’d always been smoked up any incline by more suited climbing riders so today’s plan of attack for me when the road went towards the heavens was to get to the front and set a tempo then roll through and remind my new teammates that this was a long battle to be run and tempo was needed. My max heart rate is 183 and we where climbing at 160, which was uncomfortable but manageable. I’d started eating early on the road and had a few packed pockets on my jersey and tried to get as much energy back into the system at any opportunity. A race of attrition and nutrition. As the group continued to climb and descend, climb and descend, the rolling of turns continued. Tactically rolling turns was the best way to conceive energy anyway as sitting on the back would have required too many surges, consistency for me was the key. As we were rolling through I could see riders in more discomfort than I so my tactic changed in the pace line, as soon as there was a gap in the line I’d jump from the slow line to the fast always staying on the move forwards. 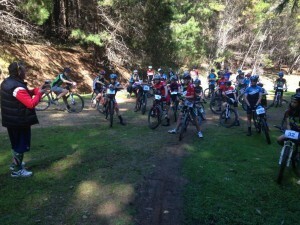 This proved to be the best way to ride as we went from roughly 25 starters down to about 8 at the halfway point. More importantly no groups had caught us yet. My confidence levels had grown at this point and I all of a sudden relaxed. Heart Rate back to 130, which for me is perfect for a distance ride. The 8 of us continued up the road, seven working with one hanging on. We kept climbing some long shallow climbs and some short sharp climbs too. I have relatives in Ballarat and have friends there to, so had driven the route a few times. We where ticking all of these climbs off, still without being caught and I knew that there was only really the reservoir climb left and rest was rolling, perfect for a sprinter. We descended to the reservoir and an officials car pulled up alongside and held a A4 piece of paper up to the passengers window with 3:50 written in big texta, my first thought was that person has really nice writing and the second thought was that’s a big gap to a chasing group! Relaxation in a big race like this for me went to another level. We climbed out of the reservoir heading for the loop. One of the more experienced handicappers left mentioned that the group behind would definitely make the catch and the win wouldn’t come from just our little group. I did some quick maths and thought the following group would catch us somewhere on the off-highway loop. So I kept eating and finished one of my bottles. Our group splintered a bit on the cohesion front as everyone now received the memo about the catch from the more experienced rider. For me this was a bit annoying as an advantage is an advantage and the later the catch the fresher we’ll be at the end. We left the highway, and about halfway through just after the steepest climb of the day I turned to see whether the chasers might be in site and they where about 150 metres behind! Flashbacks of the pros where running through my mind, was the white flag going up, wave to the camera as you get swallowed up by the marauding peloton etc…. I’d been told by a few people about techniques when being caught by a chasing group, one being to sprint off your group and gap them while the fight for positions take places behind, crashes to occur etc….than let them overtake only at a couple of kph faster rather than blasting past in a flash. So I gassed it off the front when I saw them at about 25 metres from us. One came with me from limit and to my relief I was caught by the rolling chase group of about 8 and casually slipped into there pace line. This was going nicely. Our group was now aprox 12, with four from limit, heading to Gordon, at a quicker pace than the last 10 km’s! Relaxation was back after calming myself down from the sprint off the front of the limit group. Eating, drinking, keep the next group from catching, new teammates, fresh attitude, focus on the finish. On the tailwind section I went to the back of the group to take stock of who was in this group and try to assess the danger, who’s a sprinter, who’s a climber, who sprints. Unfortunately I only knew one other, my clubmate Lynton. He’s good at all three of the above! Not knowing the other riders did make me nervous a bit for a bunch finish, which wheel do you take, so with 20km’s to go my time would be spent closely observing riders looking for fatigue signs, climbing strengths and who was looking pretty cagey for a sprint. I get pretty chatty in competition so was sussing people every now and than even laying a few false seeds that I was suffering and hurting etc…The officials at this point gave us a gap of 5 mins. I knew the finish would be from this group after another calculation. So gels were the food of choice. I did have a moment on the loop, I moved out of the pace line to clear my nose one handed and rode through a pot hole the size of a kids wading pool, managed to pull of the save. Got a few pats on the back from the fellow riders for the effort. I think the Russian judge would have given me a ten if I came a cropper as we where doing 65, and the tarmac usually wins those battles and the ditch to the side of the road looked like a ditch more suited to the Swiss Alps. Just goes to show you, can be in a winning position one second – a hospital the next. I continued in the pace line until about 5km to go and realized that a few where missing their turns, so I made the decision to conserve and let others pull me to the line. The sprint was going to be uphill, so I needed the energy to be at its best. 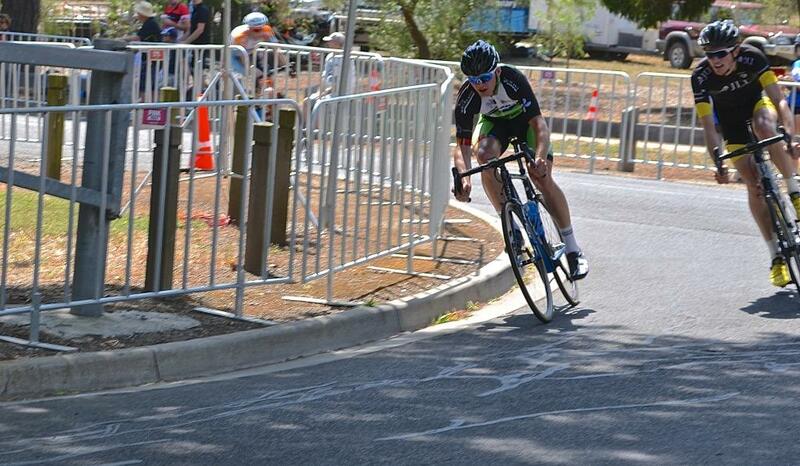 A few continued pulling hard with 2km to go, but the majority where thinking as I was and were sitting on. We made the turn to the castle. I knew the finish was still a k to go so I went to the back and was last. I thought this was the best place to be to cover any sprint. The group was still driving steadily in the left gutter with 500m to go no sprint as yet, so I moved up the right side to be about 6th about 4 wide. Those on the inside were boxed in, an I was controlling the boxing. 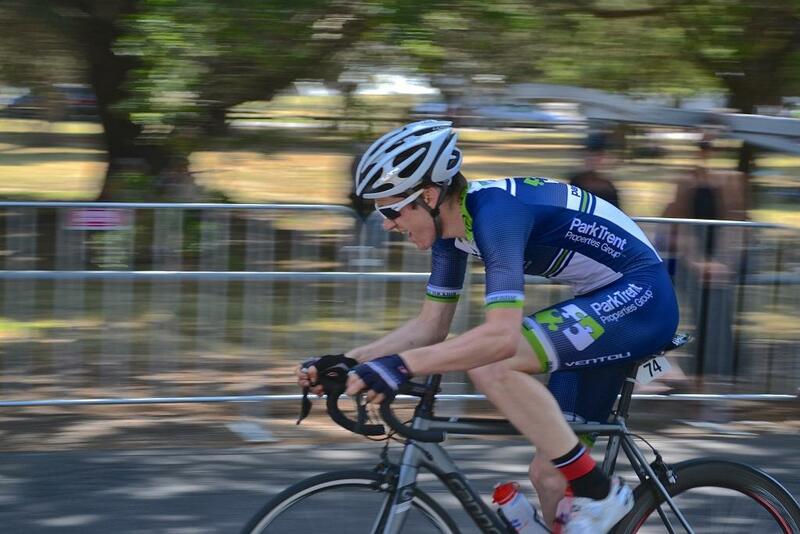 Lynton than opened the burners with 250m to go and I knew this would be the selection. He’s strong and sly as a fox, so that was it – get his wheel to 50 to go, and try and hold the others off who followed me. But we’d gapped the rest quiet easily and significantly. The win was out of us. 50m to go I went to his right, should have been his left, the non windy side, but I had heaps of strength left and just ripped it to the line. That feeling was super surreal. I didn’t feel relief or excitement or anything really. It only felt like there where 12 riders to beat. I didn’t see any of the NRS boys or anyone else, as I’d expected, so the weight of winning a bigger race like that was kind of lost on me and still kind of is. I have a cycling coach. 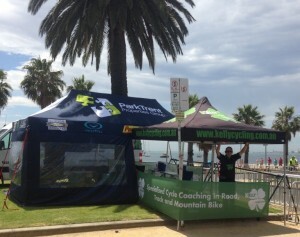 Bob Kelly from Kelly Cycle Coaching. This race wasn’t really a massive focus for me. I’m planning to try to do well at the criterium and track disciplines going forwards so this was sort of seen as a training ride at race pace. Bob and his wife Helen do a great job. 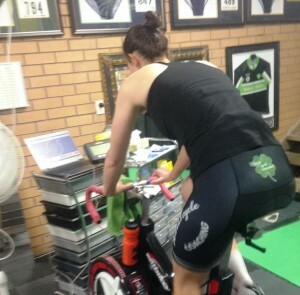 I’d encourage riders to seek a structured program once in their racing careers as it gives you good goals to strive for. I used to just ride my bike thinking I was getting fitter, but having a plan and structure has really accelerated my development and makes me want to achieve higher results. I work a rather extreme schedule so to have a timetable for training takes the pressure off that little bit as someone else is making the decision for you. I know it’s an added cost and how far do you get the bank budget stretched already these days but Bob and Helen cater for all. For me the future holds criteriums and track events. I’ve just started on the track down at DISC and absolutely hang to get on the boards and hook my bike around the banking. I encourage every rider to put it on their riding bucket list. I race every Thursday night now with Northcote and Craig Neiwand puts on an awesome night of racing and motor pacing. No cars, no rain and good times. I think this helped with my sprint and ride in the Ballarat. It gives you that extra 5% that seems only to be available to those who win. Long term I’d like to position myself as a rider of a similar pedigree to a Shannon Johnson or a Hayden Bradbury, older fellas who are still stomping and making the young ones hurt. The riders we have are surely some of the best in the World, and when they go overseas always dominate. I feel fortunate to be involved in such an environment and other riders definitely inspire me to want to race at higher and higher levels. You don’t have to win races all of the time to enjoy cycling though. I still leave my Garmin at home occasionally and just ride my bike for the release. 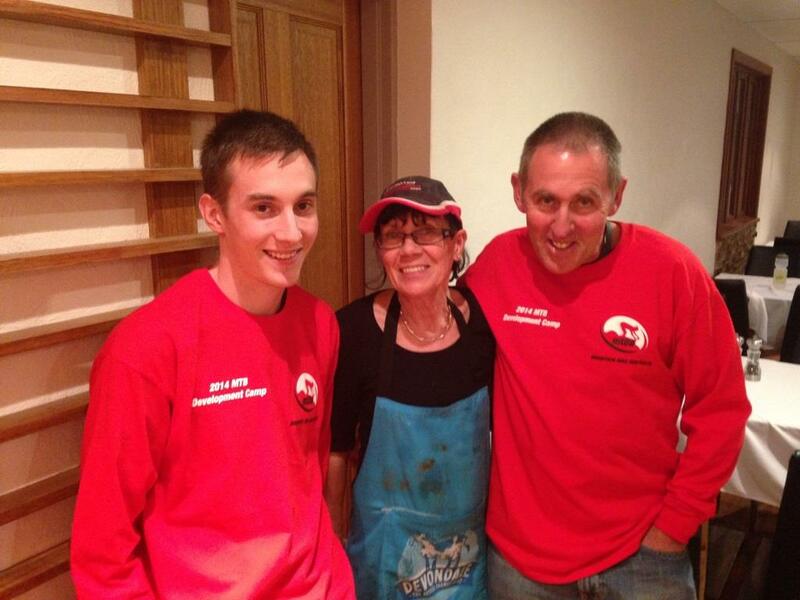 Recently I was up at Wangaratta helping Bob and Helen with the junior state titles. I took my bike and just simply got on and rode. 4.5 hours later I came back, all country lanes, cattle, sheep, sunshine, magpies swooping, canola fields etc… Thats the beauty of cycling, enjoyment isn’t about first place, it’s the journeys we take as individuals and newly found unexpected teammates. 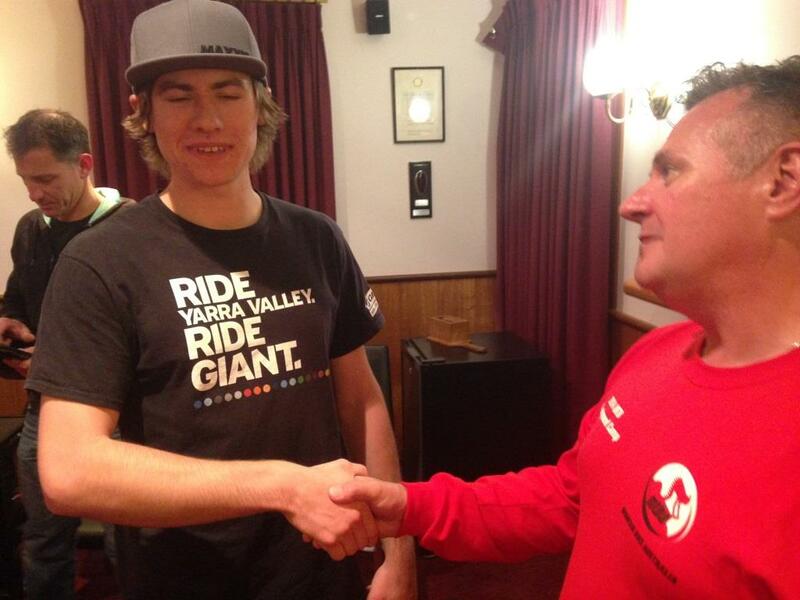 I’d like to thank the Ballarat City Council, Ballarat cycling club and the Victoria Police. 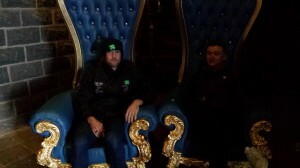 Without them this event wouldn’t happen and it needs to have another 104 years of racing to come. I’d especially like to thank those who held warning flags, stopped traffic, put out signs, barriers waved the chequered flag, drove the lead cars, you know who you are and without you, this race definitely wouldn’t happen. 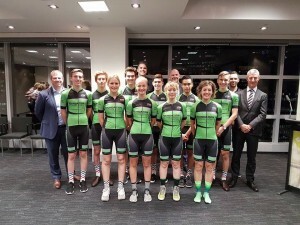 Thanks CV for organising the event also, you guys are breeding the future so old blokes like me down the track can say we raced with an Angus Lyons or a Cyrus Monk or a Jordyn Hasset when they are winning Paris-Roubaix or La Course for the girls. Kelly Cycle Coaching is planning a KCC training camp in the Sept school holidays. 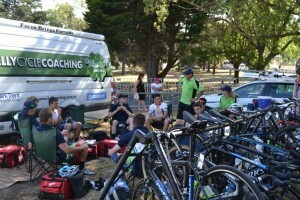 This camp comprises of a whole week of riding in the Australian Alps. 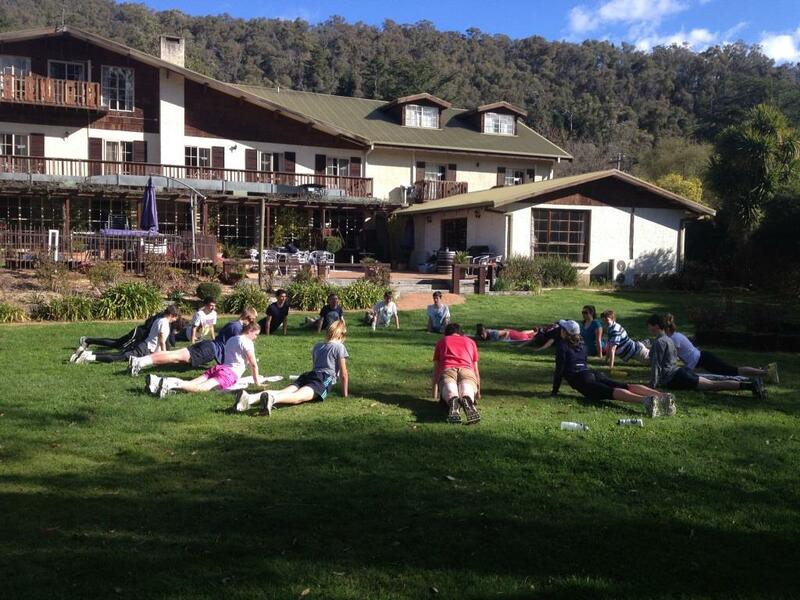 All meals provided, great accommodation and amazing training location in Bright, Victoria. Don’t miss out. Email now to secure your spot. Available to U15’s, U17’s and U19 riders. Read below to find out the details. Where: Bright Chalet, Bright. 113 Delaney Avenue, Bright. Click here for Bright Chalet details. Riders will stay in rooms of 3-4. Each room has its own bathroom. All linen and towels provided. Rooms serviced daily. Full buffet for breakfast and dinner daily. Riders make their lunch daily plus snacks as needed. Secure bike room for all bike equipment. 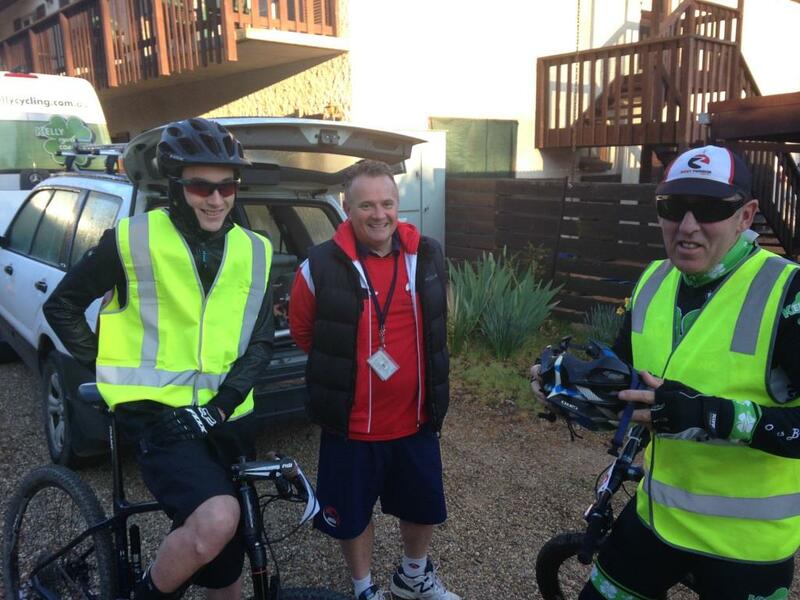 Qualified Level 2 coaches instructing riders plus support coach/coaches. Riders split into groups during the rides according to fitness levels and experience. Monday 29 Sept: (arrival 12-12.30pm. Bring lunch on first day). Camp starts at 1pm. Welcome by KCC, learn the rules, meet each other. 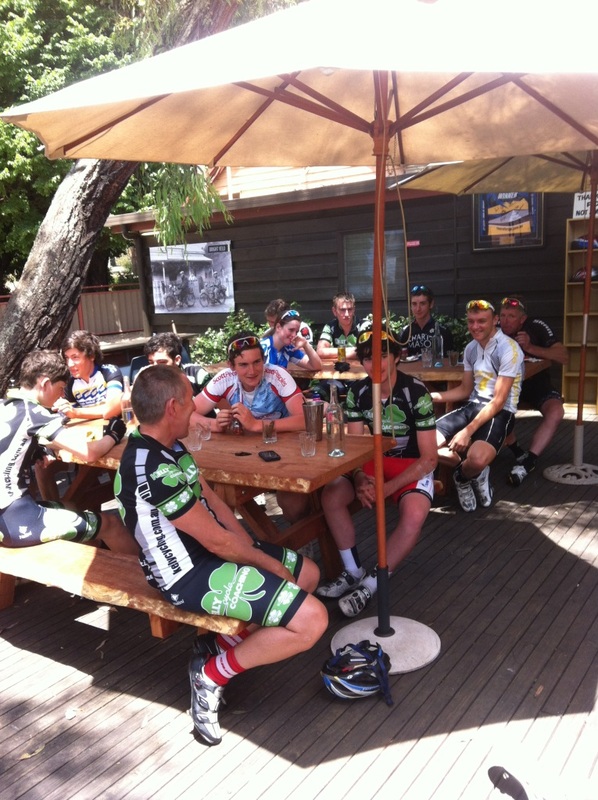 Monday afternoon: short ride and skills session, (followed by dinner & evening activity). Wednesday: Undulating ride am. Followed by skills session. Note: The above schedule suits any riders planning to attend the junior track (NTJS) in Sydney. The km’s riden will be reduced as needed. 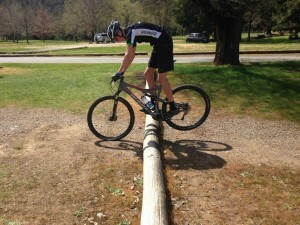 Emphasis for these riders on Wed and Thur will be on technique, skills. 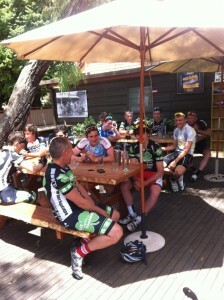 More senior riders needing more km’s will be accommodated with longer ride sessions each day. What you will learn on the camp? Limited to 30 riders. How to secure your place?? Pay your deposit by 15 Aug (and full payment by 15 Sept). Kelly Cycle Coaching had 3 U19 riders (ParkTrent team) compete in the National Road Championships last weekend. 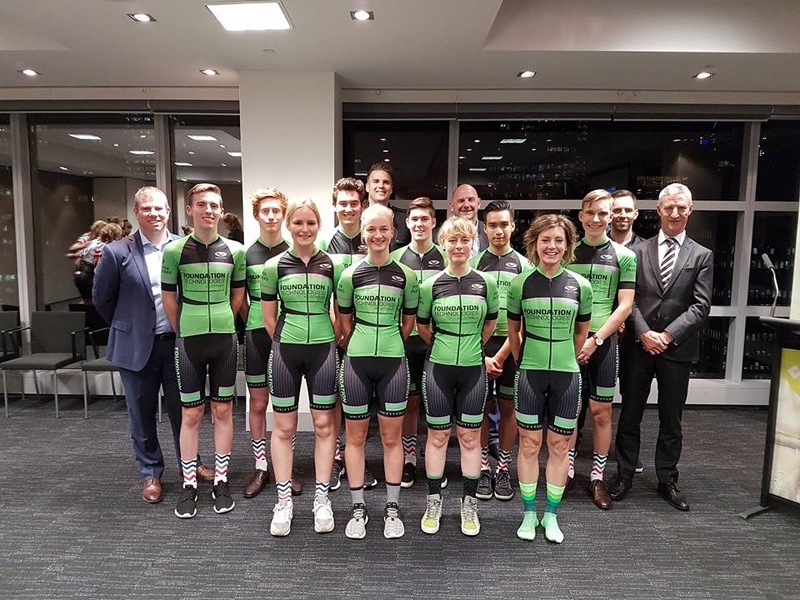 With 15 of our U19 riders doing Year 12 this year, most of them had to forfeit the opportunity to compete due to SAC’s and other study commitments. Notwithstanding our small representation, we managed to achieve a 3rd place in the TT (Angus Lyons) and a top 20 in both the road race and criterium (Cyrus Monk). 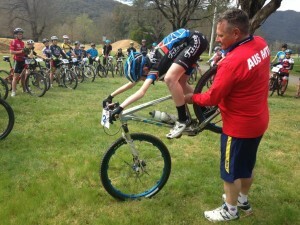 Ben Andrews (a first year U19 in the ParkTrent team) also competed, mostly to gain valuable experience of Nationals racing. He had some bad luck with being caught behind a crash, but took a lot away from the competition. 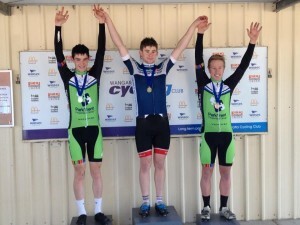 Well done to Angus Lyons, Cyrus Monk and Ben Andrews on your results at U19 Nationals. 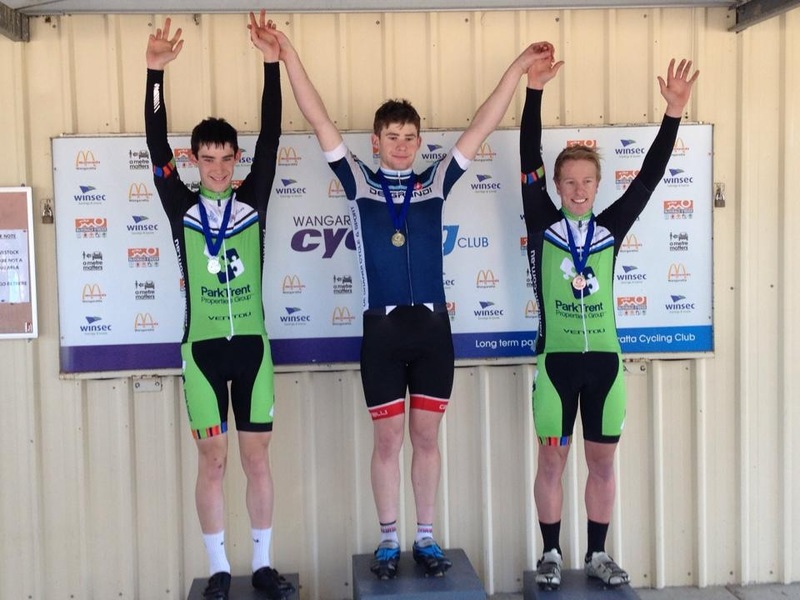 Kelly Cycle Coaching and ParkTrent rider, Nick White competed in the Bendigo 3 day tour over the weekend, finishing 3rd in B grade. Nick’s older brother Liam White, finished 6th in A grade whilst ParkTrent riders, Hamish Haynes was 15th in B grade and Eloise Vaughan finished midfield in C grade, against a strong group of men. This was the first and longest stage which was a flat race. There were heavy cross-winds and it was put in the gutter for most of the race. There were many breakaway attempts but none were successful as no one wanted to lose any time. About 10km to go there was one breakaway of two people get away which got caught about 3km from the finish. 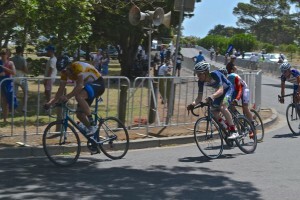 With 1.5km to go someone attacked of the front and I followed, I overtook him as he exploded a bit over 1km from the finish. 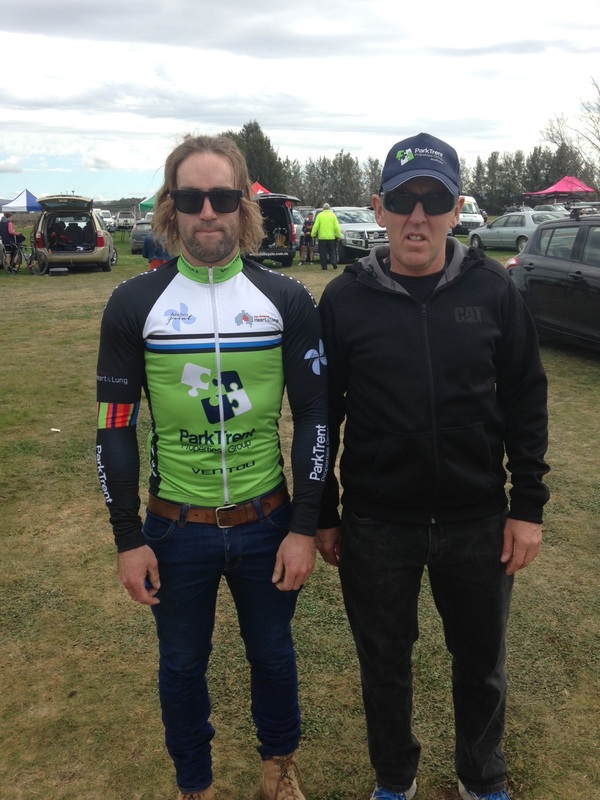 A mate from Ballarat followed me and due to him being tired he told me if I take him to the finish he will not out sprint me, which is what happened and including the time gap for winning (10 seconds) i went into stage two with a 22 second lead. 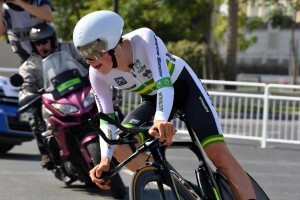 Stage two was the first stage of a two stage day and was a time trial. This was a lumpy time trial which had a tail wind going out and a block head wind on the way back. I ended up coming out of this stage 44 seconds down off the leader, 13 seconds of second place and 2 seconds of third. 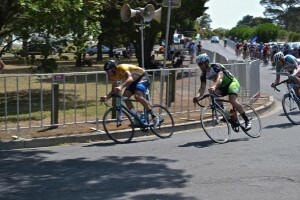 This was the second stage of the second day and was a road race which had about 12km of a cross winds all up. An early break away got up the road which I did not get in so was stuck to try and chase as someone in it was a threat to my GC position. In the first 6km cross wind section the field split up and there was a small group of us chasing, after about 5km after we turned out of it the rest of the group behind caught up to us as we caught the break away. When we hit the second 6km crosswind section, we split the group up again and it was just a group of 10-15 riders left, it came down to a sprint and I came in 4th. This was the first stage of the last day and was reasonably flat, this stage was reasonably easy for most part of it as everyone was saving their legs for the final stage which was hilly. No a lot really happened and it came down to a sprint, I opened up the sprint 300m out (which was way too early) and died just before the line and came in 5th. This was the final stage which included most of the bad climbs on the countries/metros course. I decided to attack up all the climbs but was unsuccessful In getting rid of the people placed in front ( I was still in 4th place going into this stage). From an early solo break away Hamish was had 1.30 minutes going into the first climb (the turd burger) which is the steepest climb of the countries/metros course. 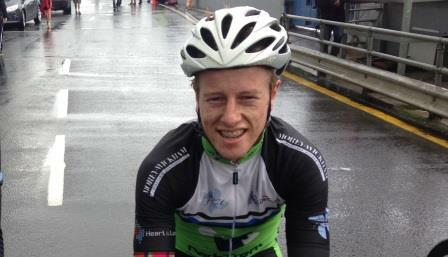 Hamish stayed with the lead group which was a group of 8 and was riding extremely well considering the hilly terrain. This came down to a sprint out of a group of 8 of us and due to it being the same finish as the stage 4 sprint I learnt from my earlier mistake of going to early and left my sprint to a lot later and ended up getting the stage win and due to the time bonus this put me in 3rd place overall. I would like to also congratulate my team mate, Hamish for his efforts in helping me over the weekend as he rode very strong and came out with a good result. 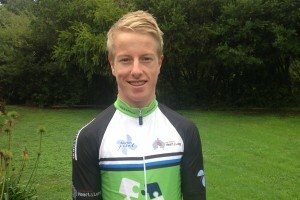 ParkTrent rider Cyrus Monk recently won Gippsland Tour over the Queens Birthday long weekend. At 17 years old, this was a fantastic achievement by Cyrus. KCC asked Cyrus to write about his tour. Here is what he had to say. 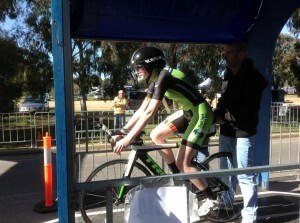 Stage 1: 6km individual TT at Heyfield. A downwind time trial made for fast times and small time gaps. I came in in second place in a time of 7:15 at 51km/h, 10 seconds behind the leader James Henry. 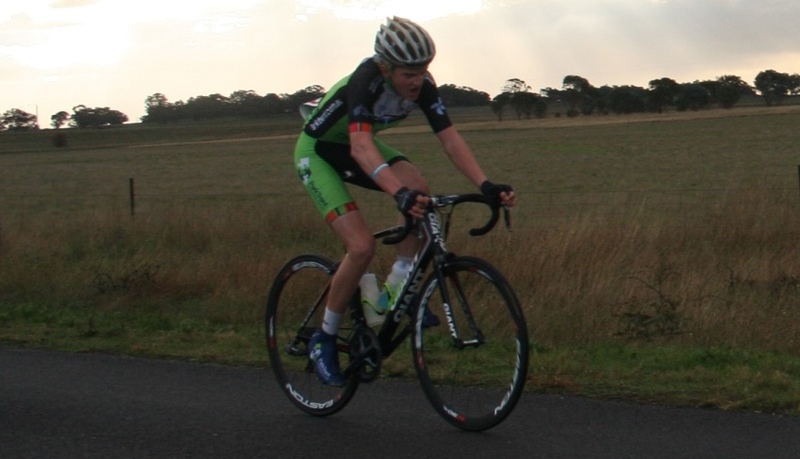 Stage 2: 3 laps of a 26km flat road circuit with a 2km hill in the middle, Heyfield. Had decide I was going to go for Kom competition so took Kom points first time up and soon after early break of 3 riders established. Break got out to 1.5 minutes by the bottom of the climb on the second lap. 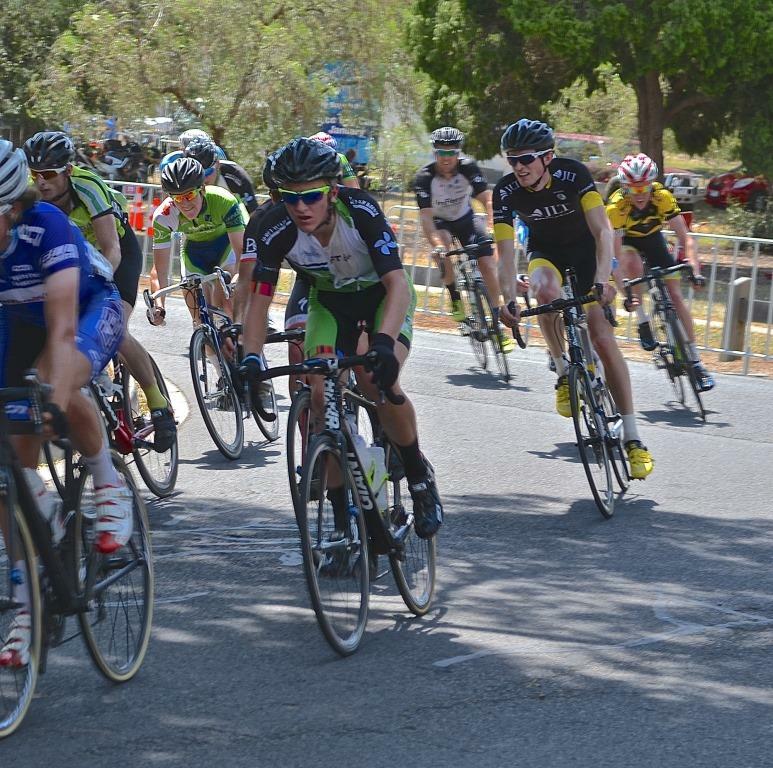 At this point I surged off the front of the bunch with fellow Warragul U19 Jayden Manintveld in tow. 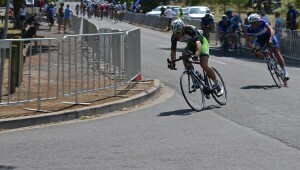 At the mid point of the climb I was still going as hard as I could to break the race up and Jayden had lost the wheel. 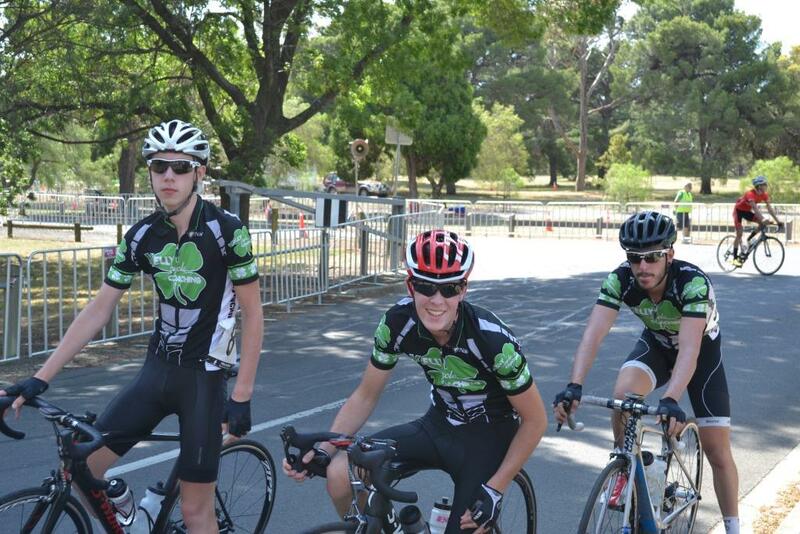 Just cresting the climb race leader James Henry, Satalyst Giant rider Kane Walker, African Wildlife Safaris rider Jarryd Jones, and 15 year old leongatha national track sprint champion Tom Mcfarlane had made it across to me. We worked together down the other side of the hill to catch the break but as soon as the catch occurred the pace went off and the bunch was allowed to get back on about 10km down the road. Approaching the base of the hill on the final lap a group of five riders were allowed to roll off the front and had approximately 30 seconds at the base of the climb. This time up I launched several attacks to try and break up the field but by this stage I didn’t have much left in the tank and no one else had any desire to keep the pace on so after catching the break the bunch stayed together with just a few riders dislodged. In the final sprint I positioned myself on Tom’s wheel knowing he would be one of the fastest but with around 300m to go James Henry road up next to me with the intention of boxing me in and stopping me from picking up any time bonuses, ultimately he succeeded and I was forced to dart up the inside only to find even less space and settle for fifth position and a bonus 2 seconds on GC with Jarryd winning the bunch kick over Kane and Tom. This put me 8 seconds behind James and 3 seconds behind Kane coming into the third stage. 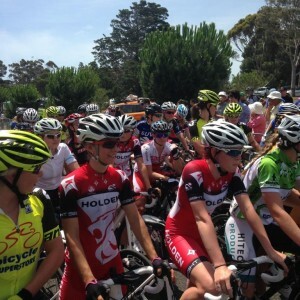 Stage 3: 2 laps of a hilly 38km circuit at Leongatha. 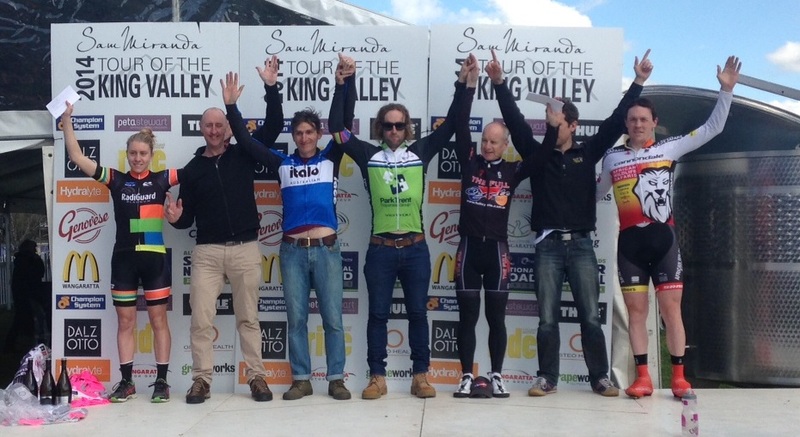 This was without doubt the toughest stage of the tour so I knew if I was going to win the GC I’d have to win it today. The stage features a 6km, 4% hill in the middle known infamously as the Mardan climb. After testing my climbing legs they day before I was looking forward to this hill. Undulating journey out to the climb was filled with opportunistic attacks by a range of riders trying to give themselves a head start with a group of five including Jarryd Jones taking a 20 second lead around the corner signalling the start of the climb. I decided to test the legs of myself and other riders in the bunch by pushing the pace up the steeper early sections of the climb which resulted in the peloton quickly catching the break and me quickly losing motivation to do any further pace making. Halfway up the climb on a flatter section two club members were allowed to roll off the front and had a 30 second lead at the Kom, I pushed the pace a little in the last kilometre of the hill just to have a look at the effect it had on the others as I drifted back through the peloton after taking the remaining Kom points, I noticed James was not looking as good as he was yesterday. 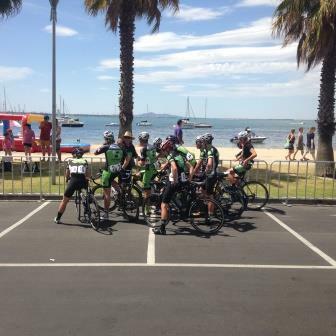 The bunch rolled along for the next half lap to the start/finish with James and Jarryd doing most of the work on the front, the two man break had a 1.5 minute lead at the finish line, I was not worried as I knew the course was a tough one to stay away on. Shortly after hearing this gap Jarryd rolled back and ‘suggested’ (no quotes will be used) that Kane and myself, who had been sitting on the back the previous 10km, contribute to the pace making. I had no desire to catch the break so soon but thought it better to oblige than to make enemies in a race with no teams involved to start with. After 5km of chasing from Kane, Jayden and myself the break came back into sight and it was apparent that one had ridden away from the other, I stopped working as I realised they were not going to stay away much longer. I positioned myself on the front during the decent before he climb to stay out of trouble and make sure no one rolled off the front. 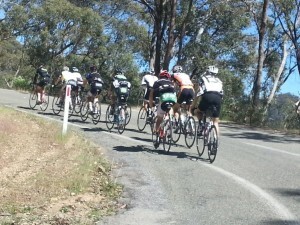 At the base of the climb there was one man (a reasonable climber) still up the road with a 30 second lead. At this stage I had decided I was giving it everything from the bottom and not looking back, which I did. I attacked at the base of the climb with James and Jarryd on my wheel. Initially they let me go which was the worse case scenario as I knew they would work together with the rest of the bunch later on to chase me down. I continued to push the pace through the middle flat section and caught the rider who had now been riding solo on the front for 15km and made a point of the effect this had on his legs as I asked him to give me some help. Shortly after on the next rise in gradient I looked over my shoulder to see that he had lost contact but luckily the bunch was well out of sight, I carried a one minute lead through the Kom. From here on it was simple, one man against a bunch of fifteen, fortunately I had the head start. I new I would lose time on the long decent so made the effort to push up the few little bumps before the drop back down to Leongatha. After this stage I didn’t look back until around three kilometres to go to see that I still had around a thirty second gap, however from here it was a tough uphill drag to the finish and I knew they would be going a lot quicker than I was. I managed to grovel over the final hill and came around the final corner to put out a pathetic sprint for the line in an uphill finish with nothing left in the tank. Shortly after crossing the line and falling in a heap on the side of the road I looked around to see a group of 3 including Kane a few seconds in front of the rest of the bunch crossing the line. 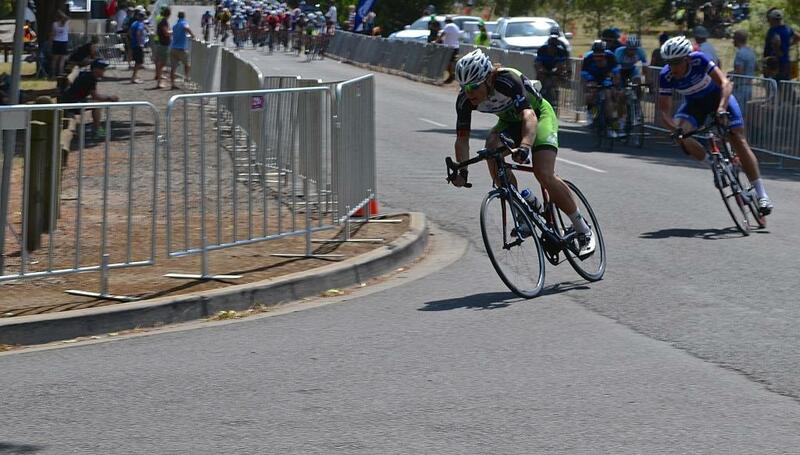 In the end I one by 9 seconds after spending 25km off the front by myself. Due to the extra 10 second time bonus and my rivals failing to feature in the bunch sprint due to their efforts in chasing I now carried a 12 second lead over Kane and 13 seconds over James into the final stage. 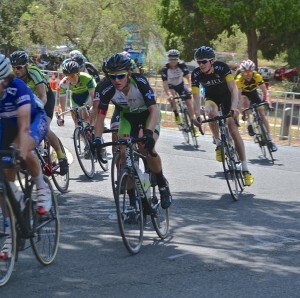 Stage 4: 4 laps of a pan flat 20km circuit at Yinnar. To win the GC from here all that was required was to finish in the bunch along with all my closest rivals given the time bonus for winning was 10 seconds, easier said than done. I came prepared to be chasing down attacks all day and my presumptions were not untrue. The race was very cruisy for the first half lap while people tried to get their legs working again after yesterday’s sufferfest. At this stage I was leading the Kom competition and still wanted the prize money and glory of getting this in case my GC hopes fell through so I put in a surge to take the first Kom. Shortly after this, as I expected, Jarryd put in a series of attacks which I was forced to chase down given he was only 30 seconds behind me on GC. On the 4th attack I was starting to tire decided to let him stay out front for the while in the hope that he would do himself more harm than good. This plan was ruined when Jayden jumped across shorty after. 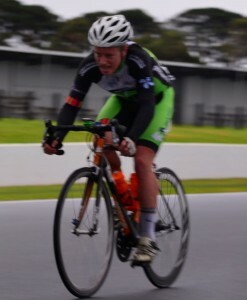 The next two and a half laps consisted of me and two Latrobe Valley members keeping the break in contact while the rest of the bunch got an armchair ride in flat, windless conditions. At one point after I’d put in a long turn on the only uphill section of the course and we’d got within 15 seconds one of the LCCC members, Danny Gafa, who I have raced with and been beaten by for many years (who also gives Brenton Jones a run for his money in a sprint) told me not to catch them this early or the others would attack me, this proved to be useful advice as we let the break back out to around a minute at the start of the third lap. By this stage I had burnt a lot of matches over the last three days of racing and it was lucky a few other club members helped a little with the chase, how ever the gap still remained. After the Kom on the third lap Gafa and I decided it was time to reel the break in and by the start of the last lap it was all back together. Another break of non GC contenders rolled off the front on the last lap but this time Kane helped myself and Gafa keep it within striking distance. In the final run into the line I jumped on the wheel of a fellow club member who launched from 800m out just as we were catching the break. 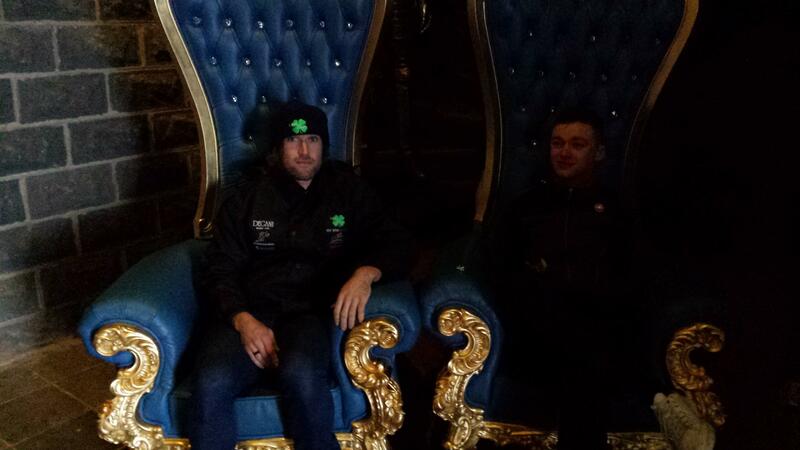 I went with this knowing that as long as there were no time gaps I would win the GC. 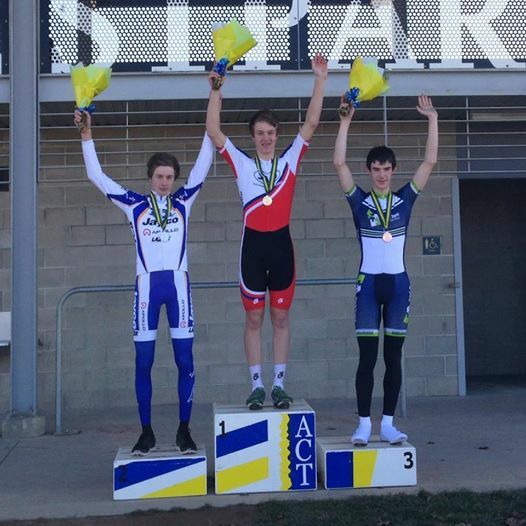 Unfortunately he ran out of puff 300m from the line so I was sat on the front from a long way out and rolled by Tom who took out the win followed by James with me coming in third and taking out the GC. 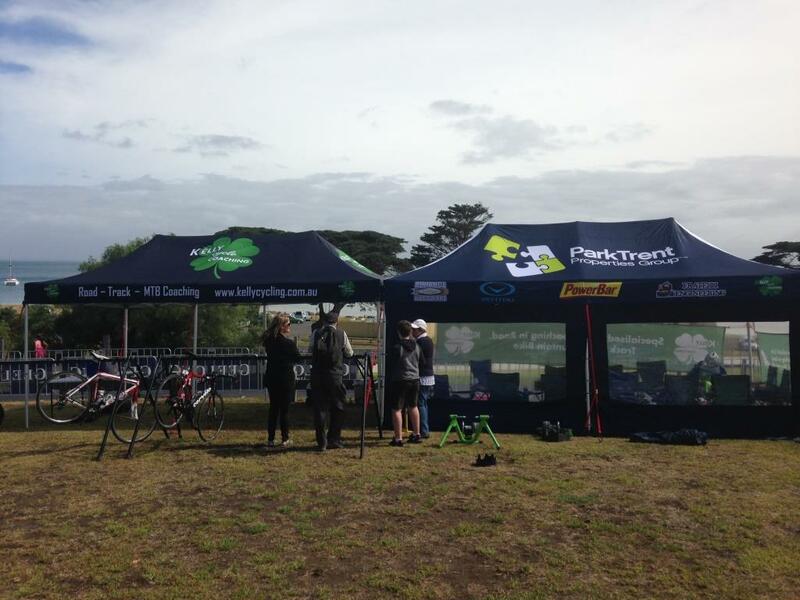 Thanks to Bob and Helen for the Park Trent opportunity (and a special thanks to all our ParkTrent sponsors) which is helping my racing a lot even at the club level! Really pleased with how everything’s going and looking forward to maybe having a crack at racing against these guys mentioned in this report in the future.